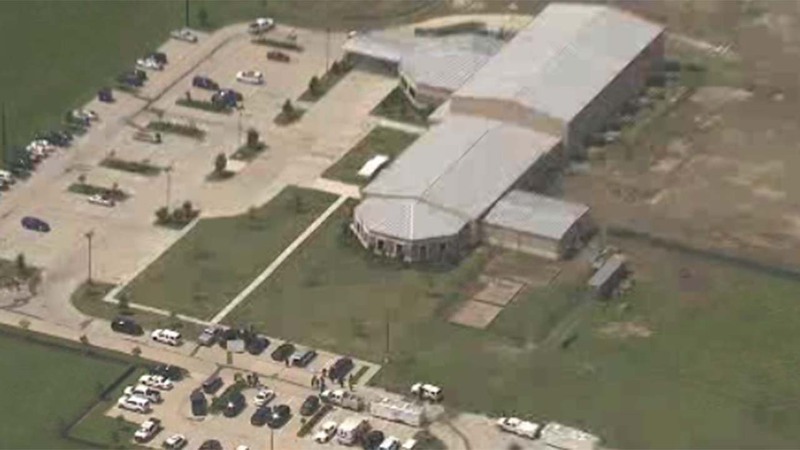 All seven Barbers Hill ISD schools remain under a shelter-in-place order with an armed, suicidal man contained by police not far from a high school campus. Baytown SWAT officers is assisting Mont Belvieu police with the situation on Eagle Drive. The Barbers Hill ISD superintendent previously tweeted that the man was in a field about 500 yards from the campuses and the schools were on lockdown. Carla Rabalis, the school district's spokesperson, said the order for lockdown has been downgraded to shelter in place around 10am. All students are safe. No shots are fired. The schools' front entrances will be open for parent access, Barbers Hill ISD says. Buses will run on a normal schedule.